Forklift industry, starting in a low-key stroke! For reasons of low price and single function, forklifts have been less concerned in the construction machinery industry. The downstream application industry of forklifts is very extensive, and the demand for forklifts in the manufacturing and logistics industries*. 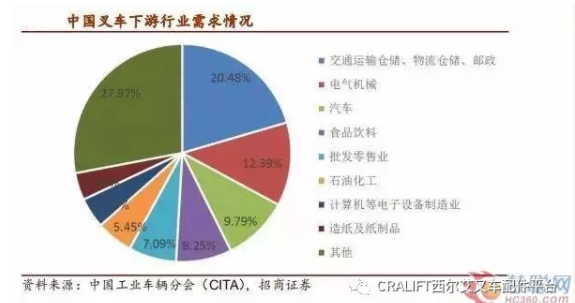 From the sales situation of China's forklift sub-sectors, the manufacturing industry accounts for about 52%, and transportation, warehousing, logistics, warehousing and postal services account for about 21%. . In recent years, the huge number of online shopping orders has placed higher demands on the speed and speed of logistics, and the automation equipment is a reliable guarantee of speed and accuracy. In the future, the total demand for logistics will be stable and the demand for logistics in the consumption and people's livelihood areas will continue to grow. At present, China's logistics industry is in the stage of continuous improvement of infrastructure, cost reduction and operational efficiency. The industrial transformation and upgrading trend is obvious, and it is in an accelerated period of transition to automation and intelligence. It is expected that the demand for logistics forklifts will remain high in the next few years. increase. Compared with the fiercely competitive international market, the competition in the Chinese forklift market is becoming more and more intense. Only 200 forklift manufacturers are included, and so many companies have led to lower profit margins. However, in recent years, with the trend of electrification and the increasing demand for forklift brands, reliability and price in domestic enterprises, market share has a tendency to concentrate on head enterprises. According to the data provided by the General Administration of Customs, in terms of sales volume, the leading enterprises represented by Anhui Heli and Hangcha Group in 2017 accounted for 45.1% of the market share of the entire forklift market, while the top 20 companies accounted for 90%. More than % share. The duopoly pattern is getting together and the potential of Hangcha is huge. The domestic forklift industry started in the 1950s and gradually formed a pattern of Heli and Hangcha Duo. Among the top 10 forklift brands in the world, Heli and Hangcha are ranked 7/8. Although Anhui Forklift Group (Heli) ranked seventh, its revenue growth rate ranked second. In 2017, Heli Group's forklift production reached 121,000 units, an increase of more than 40% year-on-year. The annual revenue reached US$1.3 billion and the US dollar-denominated revenue increased by 45%. Hangcha's revenue increased by about 30%. Compared with 2016, equipment production increased by 28% to 105,100 units. In recent years, the two leading faucets, Heli and Hangcha, have achieved rapid growth, and their revenues have surpassed Doosan, Clark and other brands, and they have gradually moved closer to Hyster and Kelang. Moreover, with the improvement of environmental protection requirements (the national four emissions are on the agenda), the intelligent development of products, the industry entry threshold for forklifts is also getting higher and higher, the domestic forklift pattern is also expected to gather to the head, Hangcha Group and The market share of Anhui Heli is expected to increase further. In 2018, the sales volume of Hangcha Group forklifts is expected to exceed 125,000 units, an increase of about 20% year-on-year. Among them, the sales volume of the second and third class vehicles increased by 70%, and the sales volume of the four or five types of internal combustion vehicles increased by 10%. The overall sales volume of forklifts in the whole year is close to that of Anhui. In 2018, the Hangcheu Group's export sales increased by 30% year-on-year. The main sales areas include the EU, Southeast Asia and South America, of which the EU accounted for more than 50%, and its overseas market share increased further. After the establishment of the North American subsidiary in 18 years, Will continue to expand the North American market. At present, the price of domestic forklifts is generally about 50% of overseas Toyota and other brands, and the cost performance advantage is obvious. The industry expects that the forklift industry's growth rate will slow down in 2019, but the overall trend is still growing. Hangchai Group's market share will increase steadily in 2019. It is estimated that the annual income will be 8.6 billion yuan and the net profit will be 673 million yuan. Corresponding to 2019 PE11.3 times. In the first three quarters of 2018, Anhui Heli achieved revenue of 7.378 billion yuan, a year-on-year increase of 17.5%; net profit attributable to shareholders of listed companies was 440 million, a year-on-year increase of 29%, and sales growth was lower than the industry, but the performance growth was slightly better than the competitors. At the same time, the company announced in December that it would acquire the evaluation system of Ningbo Lida and its executives from the Group, which will benefit the company's long-term development. In 2018, Anhui Heli's sales volume maintained rapid growth, and the annual growth was estimated at around 16%. The sales growth is lower than the industry growth rate, mainly because the small-scale electric forklifts have grown faster in recent years, and Heli has been mainly engaged in the production of medium and large internal combustion and electric forklifts. Anhui Heli is a manufacturing enterprise with high self-production rate of parts and components. Therefore, it is greatly affected by the increase in raw material prices. Although the sales growth of the industry is very good in 2017 and 2018, the raw materials have risen sharply. The gross profit margin in 2017 decreased by 2.5 compared with 2016. The percentage point in the first three quarters of 2018 was 0.66 percentage points lower than that of 2017. Anhui Heli has been undervalued at a low level, and its performance elasticity is not large at the same time. However, the company’s reforms have been strengthened, including: increasing the commission on sales companies (increased share of minority shareholders’ profits and losses), and the Group’s injection of Ningbo Lida’s performance. Announced the executive management system to increase incentives, research and development and production of unmanned industrial vehicles. The forklift industry benefited from the rapid growth of the labor-substituting small-level forklifts. Hehe acquired the 56% stake in Ningbo Lida and is expected to increase its net profit by 30 million next year. The advantages of electric forklifts over internal combustion forklifts need not be described. With the development of lithium battery technology, the disadvantages of electric forklifts compared to internal combustion forklifts, such as short battery life and low weight and low price, are rapidly shrinking. It is expected that China’s electric fork penetration rate will Gradually approaching developed regions such as Europe and the United States, reaching more than 50%. Compared with the foreign forklift industry, the domestic forklift industry's * characteristic is that the value of bicycles is low, and an important reason for the low value of bicycles is the lack of the aftermarket. According to the industry chain research, the market share of foreign Toyota, Hyster and other forklift giants is generally above 15%. However, the domestic forklift leader's income in this area is less than 5%. With the rapid increase in sales and holdings of domestic forklifts and the specialized division of labor in downstream applications, the market for forklifts will be booming like the aftermarket, and post-market services will become a key investment for domestic companies. For enterprises, how to do a good job in pre-sales consultation, after-sales service network construction, and professionalization teams are all topics worthy of consideration at this stage. With the rapid development of smart manufacturing in the world, the government has also introduced policies to promote the development of smart manufacturing in China. In the "Made in China 2025" plan, robots are listed in one of the ten key areas, and unmanned forklifts are used in intelligent manufacturing. 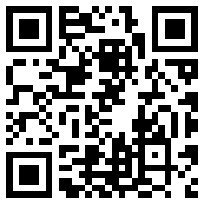 An extremely important link, its development status is also very important. Compared with the traditional manual driving forklift, the intelligent forklift does not need manual driving, combined with bar code technology, wireless local area network technology and data acquisition technology, and uses electromagnetic induction as a navigation method to assist RFID identification to run on complex paths and multi-site reliable tracking. Easy to operate. Intelligent forklifts are intelligent, flexible and flexible, and have the basic features of low cost, high efficiency and safe operation. It can solve the problem that the traditional forklift is difficult to work in bad weather and dangerous environment, and can reduce exhaust gas and noise. It can also meet the individual needs of the enterprise, and the advantages of replacing the manual forklift are obvious.